At a recent event in Shanghai I was asked why a company should have a management system and monitor legal compliance at their operation. They went on to clarify their question, they wanted to know if it would help them acquire foreign clients. I explained that a certification may help them get foreign clients, but that the motivation for certification should be continuous improvement and not simply a tool to satisfy client requests. China is a fast evolving market with over 350,000 ISO 9001 certificates and 137 000 ISO 14001 certificates issued for both Chinese and International companies. In comparison, all of Europe has 450 000 ISO 9001 certificates and 243 000 ISO 14001 certificates. The GDP per capita in China is about 8200 USD while the GDP per capita in Europe is about 35 6322 USD. Since ISO certificates should correspond loosely to high quality production and good management practices we can say that China has 53 certificates per $ of GDP per capita and Europe has 19 certificates per $ of GDP per capita. These are impressive numbers. Yet, once you start to actually dig into the organizations in China and conduct audits, it becomes clear that many of these certificates are obtained simply to fulfill client requirements and the certification process was superficial. Companies often do not actually adhere to the standard and they simply do the bare minimum to stay certified. To identify the source of the problem, a first reaction would be to look at the certifying company. You may think that the Chinese certifiers may not be really doing their work; however, many of these ISO 14001 and 9001 companies are certified by recognized multinational certifiers. Anyone who has worked in China knows how competitive the market is. Everyone is looking to shave costs and anyone looking to survive must run a very lean operation. Both Chinese and foreign companies must constantly strive to find low cost services to allow themselves to stay competitive. This cost pressure applies equally to the sourcing of independent certification providers; however, a critical element of certification is impartiality. Some certification organizations, in an effort to increase revenues and profitability, package their certification services with consulting work, training, and even electronic subscription services, taking them onto murky professional grounds. Independence of revenue streams is critical to an independent point of view. For example, a financial services company such as KPMG, Deloitte or PWC will not offer both auditing services and accounting services to the same company. We are humans and if you are asked to audit your colleagues’ work there is a tendency to give more leniency than if you are inspecting a third party’s work. This list of scandals related to conflict of interest is long – everything from government procurement and political donations to ratings agencies and mortgage companies in the 2008 crisis. Combatting the temptation to expand your service offerings to both sides of the audit table is difficult. The Chinese EHS market is both competitive and immature. There is a strong demand on behalf of Chinese companies who are still developing modern management practices to request packaged services from their providers, some certification companies are happy to oblige. 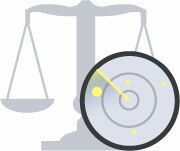 Since 2006 ISO offers a standard to combat conflict of interest in certification companies. In 17021:2015 it states in article 5.2.2 that you must “Identify, analyse & document possibilities of conflict of interest” and in article 5.2.10 that you must have “No conflict of interest of personnel involved in management system consultancy”. Despite this, we see certain certification companies who either package both the accreditation and consultancy services or offer software packages that help companies reach certification. Would you expect to cite a finding during an ISO 14001 audit if the company is using your management consulting services or your accreditation company’s software? For example, SGS, a Swiss based certification company set up a very Chinese operation in China. SGS made the decision to setup an operation that was run by local Chinese staff and run in a way that is similar to many native Chinese companies – low cost, aggressive and embedded in relationships. This has given SGS a significant advantage over its foreign competitors who brought a different management style to their Chinese operations. SGS is the largest and perhaps best recognized certification company in the world, but their China operations have chosen a path of bundled services that are compelling for their clients, but can introduce some potential conflicts of interest. One strategy to reduce the appearance of conflicts is to create “companies” with a different branding that can appear separate, but in reality report to the same parent company. We see this at SGS China and their various digital and consulting services. If you follow ISO 17021, you should not only document your conflicts of interest, but also create a very strong firewall between your service offices – something that is very hard to manage in China where you have high turnover and a very competitive environment. High turnover leads to people moving from one company to another, their relationships to old colleagues remain and during audits it can become difficult to remain completely impartial. In some countries, moving back and forth between government and the private sector in the same field of work (i.e. 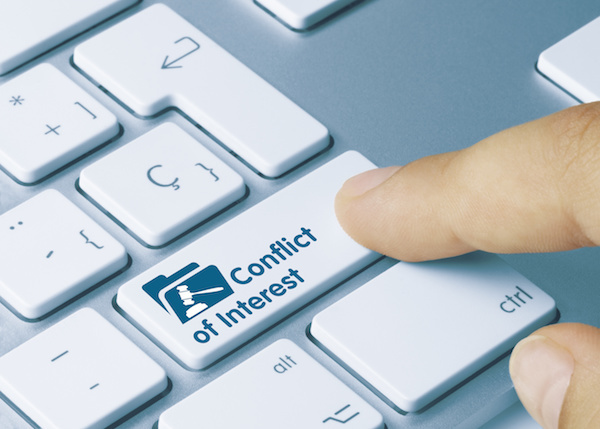 Financial oversight agencies and the companies they oversee) within a certain time frame is prohibited, this helps reduce potential conflict of interest. While it may be less practical for a company to source management system services from two or three companies, it is an essential part of modern management practices. Some companies we work with actually change their auditors and certifiers every year to ensure impartiality and fresh points of view. A new company not only brings impartiality, it also brings a fresh set of eyes and a new set of priorities. It can raise issues and find things that the previous consultants missed or that they thought were less important. No system is perfect and no company can remain completely impartial; however, at Nimonik we feel strongly that you should strive to obtain unbiased professional advice at all times. Your operations may run smoothly for a while without a rigorous conflict of interest process, but you will be missing an opportunity to improve your performance by using impartial and different points of view. In any business, relying too heavily on any one provider is rarely healthy . To ensure the companies advising you remain impartial you should look at the services they offer and determine if they are meeting the ISO 17021 standard.